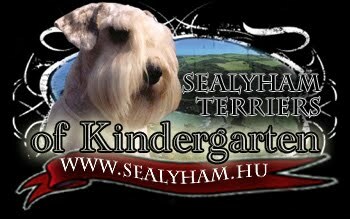 Sealyham Terrier of Kindergarten Bronzkoszorús Mestertenyészet: Show quality male puppy available! full Europe bloodline, strong bones, correct bite, and really short legged, very kind character. If you are interested, you are always welcome to contact us by e-mail for further information.